OLD PARKED CARS. : 1969 Oldsmobile Cutlass S.
I remember when these were as common as pennies on the streets. I can't remember when that ceased to be. 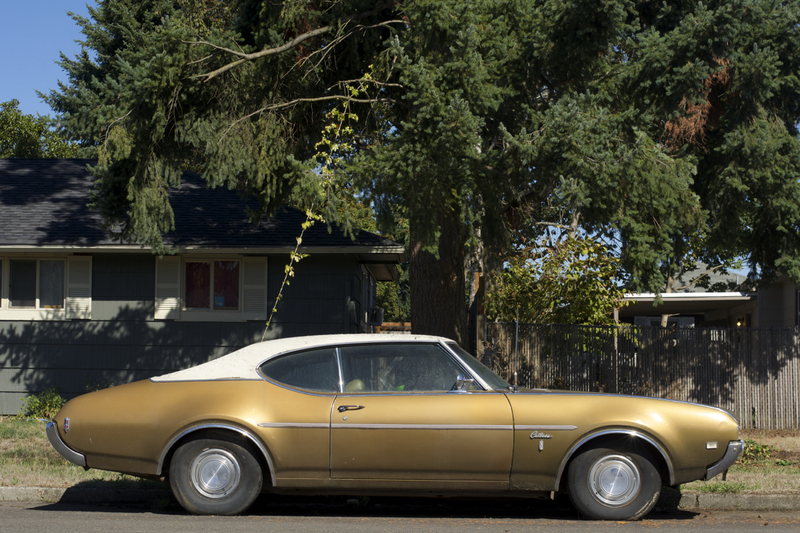 My first car was one of these. Bought it used in 1973 for $600.00. It had a light green body with a dark green top. Lots of good memories were made in that car (sigh). It was a nice car for a 16 year old kid! If you want a pillarless hardtop 2dr go to your nearest MB dealer and order an E-Class. Stop the search! I've found my favorite car for the day. I too can remember when these cars were everywhere. 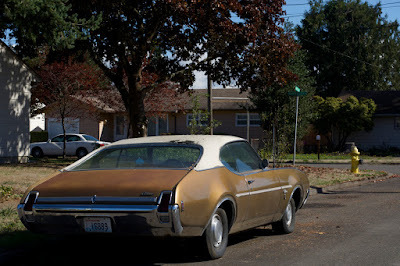 In those days (late 70s, early 80's) looking for a used car was actually fun because the lots were filled with interesting cars. Hardtops (2 and 4 door), woody wagons, the occasional convertible, most with V8 engines AM radios and room for 7 or 8 people on those big old bench seats. Still have some old Auto Traders from back then....want a 1969 Chrysler New Yorker with a 440 V8 and 63k miles? Three hundred bucks and it's yours. Gone are the days. 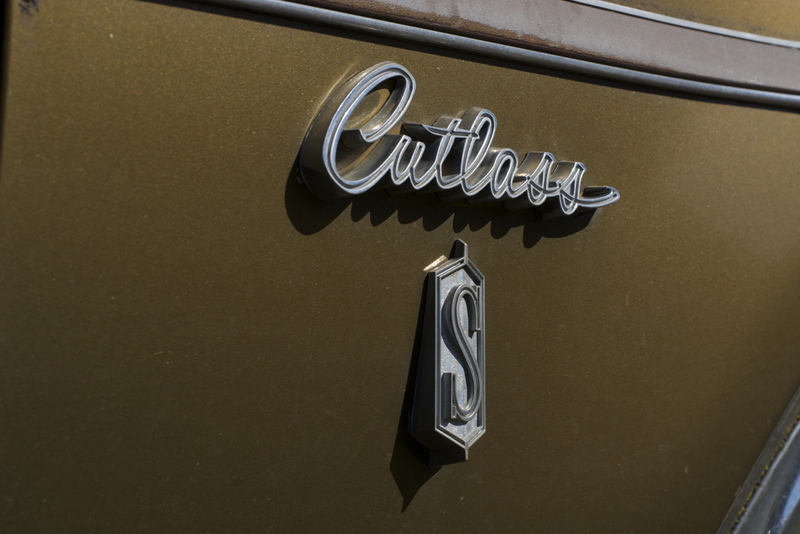 Trivia: "Cutlass S" is the only phrase in the English language with three S's in a row. Can anyone think of another?? 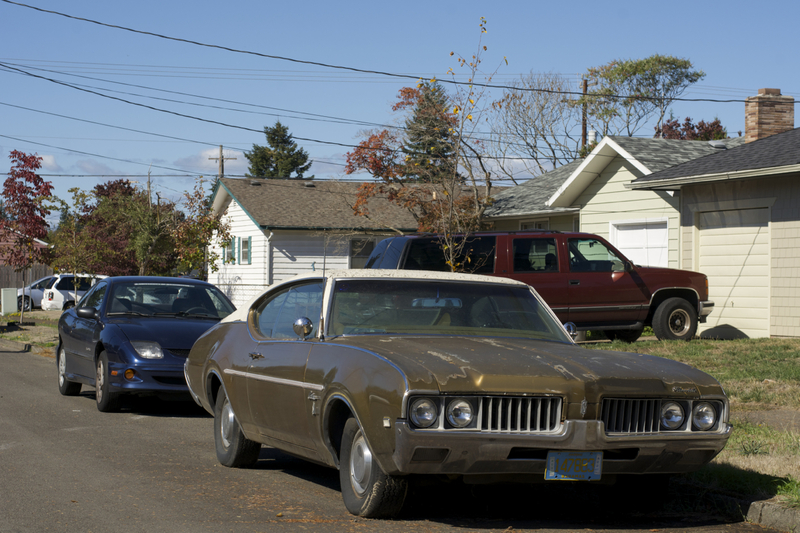 Nice to see a non muscle Cutlass of this generation.